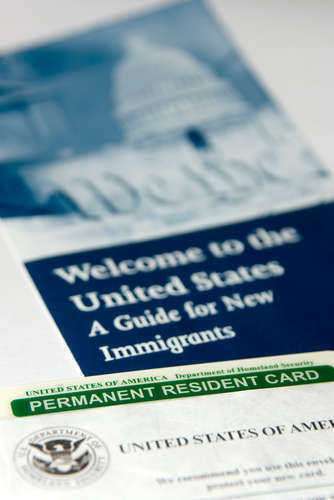 It is possible for a United State Permanent Resident Card, or green card, to expire given enough time. Normally, if a US green card will expire, then the expiration date of that US green card will be listed on the front of the card. If this occurs, then the individual holding that US green card will have to go through "renew green card" procedures. The process for green card renewal is not necessarily the same process as that of green card replacement, which is significant, as an individual who loses his or her US green card does not necessarily have go through green card renewal. The "renew green card" process is normally only necessary once every ten years for full, permanent residents with green cards. This is not always the case, however, as an individual might have a conditional green card, for example, in cases when the green card was issued for marriage or investment from a company. In those cases, the green card might have had a 2 year expiration date built in, meaning that green card renewal would likely be necessary much sooner than for a full green card. Regardless, one should begin the "renew green card" process within six months of the date at which the US green card will expire. One should be certain to submit the proper forms when attempting to submit for a US green card renewal. This is because the forms to renew green card, the forms to replace a green card, and the forms to transfer a green card from a 2 year to a 10 year green card are all different.